I am a creature of habit. Are you? Each morning I take probably way too much pleasure from doing some of the same things. In my son's psychology class, they call it homeostasis. Must have coffee to begin with. See the time on the clock? I've had three cups now. My crazy husband walks each morning at 5:30 am and comes home about the time I'm engaged in all of these activities. Must water all the plants. Lots of hose dragging this time of the year. It's hard to drag the hose while holding coffee...but I'm skilled. Surveying the yard. Pulling a few weeds. Saying, "Good Morning" to the critters. 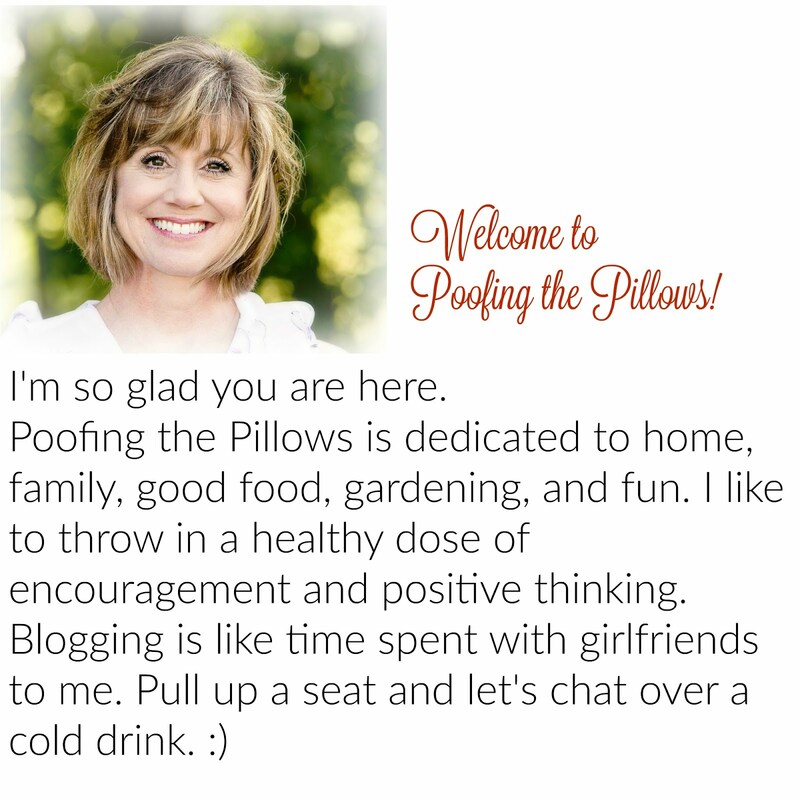 Catching up with my blogging buddies...sweeping...making the beds. I enjoy doing the same things each morning. Are you like that too? This is my first stop by your blog. I'll be back. And yes, my morning starts at 5:45 and is predictable as the sun rising. But it's quiet in the house....it's MY time...without kids and interruptions. So I sit. And read. And think. And pray. Wouldn't want to start the day any other way. No wonder I like visiting this blog...coffee and early mornings just like me. The difference though is pronounced, in that even if I do carry my hose around the outside in the mornings...my flower beds do not look like this. So very beautiful!! !I am afraid that I would not get much done besides sitting on a bench, with coffee, staring at the serene beauty of the scene in front of me. Thank you so much for sharing this with us. Oh, Stacey! Your back yard is to die for! I could sit out there all day and never accomplish a thing! I am definitely going to HAVE to come and visit you and that back yard that is to die for!!!!!!!!! I love getting up early before my 5 little critters rise and I enjoy my coffee (Pot) in peace....then I'm forced to make breakfast for 5 growling little tummies and we're off and (literally) running for the day....Routine is EVERYTHING at my house...so I'm not sure if that counts as being a creature of habit or not....maybe? Smiles:0)! Your backyard looks like a gorgeous retreat...very peaceful and relaxing! Stacey, I wanna come see your back yard!! It's gorgeous!! And I wanted to tell you that your music on your blog is some of my favorites in blogland. NICE choices!!! Yes, I have some similar rituals, too. Gotta have that coffee everyday! Stacey...your yard is sooo beautiful!!! I would spend the entire morning out there!!! I am just like you with the rituals of the day!!! It makes me feel good thatt there are things that I can count on to be somewhat consistant!!! I am about 30 minutes behind on my routine today...traffic...it took me 30 minutes longer to get home from dropping my baby at football practice...great start to the day!!! Good news...only 94 as the high today...yeah...a cold front? Enjoy your morning routine...sweet friend!!! I'll have a cup of coffee and think of you as I am watering my plants;)!!! I too start my mornings early with hubby and coffee. I set the machine so it makes it before I even am out of the bed. Then iron his clothes for the day and get him out the door. Then it's my time! Reading, browsing thru magazines or just swinging on the porch and looking at our yard! It is so peaceful and relaxing to start my day that way! Good Morning Stacey... When I worked I got up early but now that we have retired I get up around 7:30 give or take a half hour. I like to have a couple of cups of coffee and blog first thing... then we are always off on a new fun day but by late afternoon we get home and the routine of dinner, sitting outside and enjoying nature and then TV or reading books begin... so yes we are still a little routineish...Have a great day! Oh Stacey, I love the pond in your back yard! I would sit by that all day and watch the fish. Just gorgeous. Yes, I too have to have my coffee in the mornings. My habits change a lot because during the school year I have to be at work by 7:15 and the Summer I just do whatever...can we say lazzzzzzzy? Stacey, your pond and landscaping are beautiful, and should be featured in a magazine. What a serene and welcoming spot, especially during these hot summer days. I have my morning rituals, too. I turn on the coffee pot, open the shades downstairs, have coffee while watching the news and checking out what's new on the blogs. I am definately a creature of routine. It is the only way I know to keep up with everything. I used to laugh when I was working a full time job that I already did a part time job before I left the house! Your yard is scrumptous! How cool to prompt all of us gals to tell how we start the day. We all seem to share a common thread~COFFEE!! LOL!! Your yard and pond are fabulous!! No wonder you are out so aerly dragging that hose around!! Look what you have created!! Got to have my coffee in the morning...but that is usually number 4 or 5 on the ritual. First thing is feed the cats and then empty their litter boxes. Put coffee on and look at face book, e-mails and blogs...drink coffee and read the paper. Still get up early even though I am retired....got up at 5:00 every morning - had to make that hour drive to OKC...so I still wake up early and usually always get up...remembering I am going to nap in the aft. Enjoy the change in the weather. Absolutely. My routine has been off for a week now with Nicky being sick. He is much better today so maybe I will get back to my routine. Thanks for your kind words on his health. You have a gorgeous backyard! I too have a routine although this summer it has been a bit off. In a couple of weeks things should be more "normal". Have a great day! Yep, during the summer I have to have my coffee out on the screened porch and after a few cups I drag the hose around. I unlike you can't hold a coffee cup and drag a heavy hose LOL! But in the winter my routine is totally different. Very much so! I do the same things in the same order every morning! If I get out of synch it just throws me off! Love your back yard, it is so beautiful. I would get to that point and just sit down and that would be it for the day!! ~WOW! Your backyard is so amazing Stacey. Love it! Absolutely! I am indeed a creature of habit, Stacey. That tranquil pond, oh, just makes me content somehow to get another glimpse of it. Just wanted to say thank for the sweet comment you left this morning about the attic. You always are so positve and know just what to say.